Students Jewish Aggie of the WEEK! 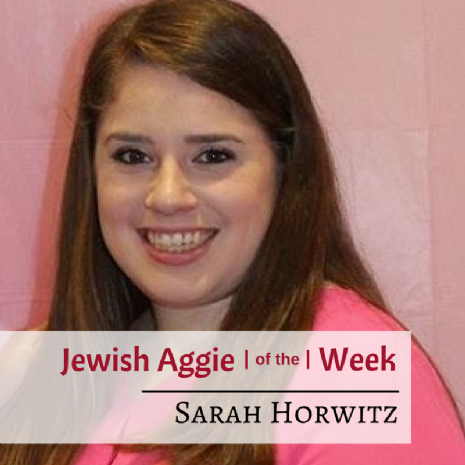 Jewish Aggie of the Week Presents Sarah Horwitz, from Bellaire, Texas. Sarah is currently pursuing a degree in Biomedical Science and hopes to pursue a Masters in Health Administration in the future. Sarah traveled to Israel her senior year of high school with march of the Living. "It was inspiring when we traveled from Poland, where I witnessed the remnants of concentration camps and ghettos, to Israel, a flourishing state for the Jewish people! That to me demonstrated incomparable strength and resilience." Sarah served as Vice President of Operations, President, and now Vice President of Social Standards of AEPhi. In 2017, under her presidency, AEPhi at Texas A&M University was chartered. 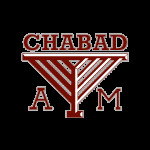 "Chabad has always been there to help me with whatever I need. Whether it's a bowl of matzah ball soup or co-hosting Pink Shabbat with AEPhi, Rabbi and Manya help create such a warm Jewish community for myself and other Jewish Aggies."